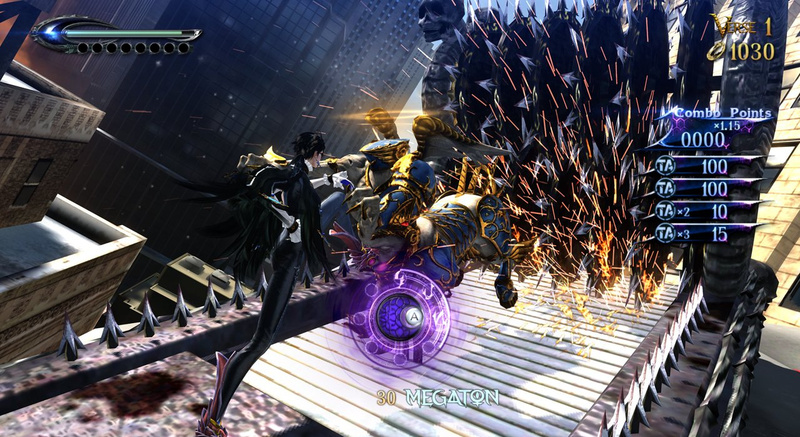 Bayonetta 2 arrived on Wii U last week, and it appears to have enjoyed a solid start in the UK market. The chart results released today confirmed that the brilliant Platinum Games action title was the most successful new release; it managed 7th place in the all-format chart and an impressive 6th in the single-format list — in the latter it was only behind various iterations of FIFA 15 and Minecraft: PlayStation 4 Edition. A strong start there, then, and the other headline result is for Just Dance 2015. The fact that the series made its début in 19th place (all-format) is unremarkable, but more surprising is that across six platforms the Wii version accounted for 55% of its sales; that's not a typo, either, but a continuation of the last-gen version on Nintendo's system dominating that franchise. It seems, yet again, that Ubisoft and Nintendo are struggling to convert Wii Just Dance fans over to Wii U — that said the sales of the Wii version clearly aren't that amazing, as it's the only version of the dancing game in the single format chart, way down in 38th place. There are some other Nintendo games or platform titles throughout the top 40, summarised below. Super Smash Bros. for Nintendo 3DS is showing decent staying power, though unfortunately Hyrule Warriors has departed the top 40. It'll be interesting to see whether Bayonetta 2 can hold on in the charts for a decent spell, or whether it'll fall away rather like Koei Tecmo's release. Hard to tell how well it's done without numbers, but that's pretty solid. The original was 5th in its first week but for all we know this could have sold more. The one thing the original had was that it took people by surprise so it's sales weren't as front loaded as this surely will be. I can't see this being any different than Hyrule Warriors when longevity in the charts is concerned, but it's a solid debut for the game nonetheless. Hopefully a few people bought the Wii U to play this! Again with FIFA and Minecraft... Why would you buy Minecraft on consoles anyway, it defeats the purpose! Unfortunately haven't picked it up yet due to money and student life, but hopefully I'll be able to contribute to next week's numbers! I'm hoping Bayonetta 2 has some nice word of mouth movement and sustains for at least through CHRISTmas. Hoping the fanboys from the first game can't resist and have to buy a Wii U for it. It's looking like it and maybe Smash Bros might be going toe to toe for GotY. Only time will tell but both have a very string chance for it. Frozen on DS is in the charts? I'm really surprised it managed to get into the top 10 as Nintendo has yet again spent £zero on advertising the game (like Hyrule). Ive seen a couple of ads for 3DS Smash Bros, they didn't even bother adding into the end of the ad that it will be soon on WiiU (which would have cost nothing to do!). I love Nintendo games/consoles, but really dispair about how poorly the WiiU is treated by Nintendo (who then no doubt moan about lack of 3rd party support). These games deserve better support. Interestingly I saw an ad for Skylanders last night, the ad seemed to indicate it was only on WiiU, Wii and 3DS consoles. Hopefully this will generate some WiiU sales despite Nintendo UK forgetting about the console! Shows how dead the Just Dance franchise is now, if the only iteration that makes it into the top 40 is on a retired console. I hope ACIV outperformed it on the Wii U, not that anyone at Ubisoft is going to change there mind about it now. But we are missing the eshop sales ! Good start for Bayonetta 2. That is good about the just dance. Maybe Ubisoft will realize that the Wii U audience isn't that same as the Wii audience. Great job Bayonetta! It is a gem of a game. As expected from P star. @MJKOP I've only played the first world on Luigi U so far and it's pretty tough. I do look forward to the final levels though. Here's an Idea Ubisoft. 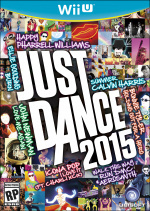 Don't release the Next Just Dance on Wii. Just WiiU. Yeah Yeah Money, but Disney is forcing their market to move. Why shouldn't you? @Inkling It is retailing for something like 5 Euros over there, that is the only reason it made it into the top 40. 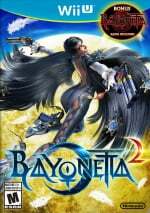 @luminalace I bought Wii U just only for Bayonetta 2. Right after it was announced. And while I waited, I've played so much cool games from Nintendo itself, so I just can't play usual multiplatform trash games. Before buying WiiU I thought that I'm not interested in games anymore, just because I've become older. But after playing some games on WiiU I felt THAT game magic that I felt when I was a kid. And now I know: the problem is not that I've become older, but that almost all games created using some primitive templates and lack of love of their creators. They just earn money, nothing more. Thank you Nintendo! Well the Bayonetta result is hardly surprising, with reports of selling out on the high street on Saturday. Loving the game, got the 1+2 special. Nintendo Land is 39th? Does that mean lots of people are buying Wii U consoles as I thought that's the only way to get it physically? @Grumblevolcano It's not bundle exclusive. Anazing that people jump to nintendo for the causeof undershipment. Surely there are others here who have worked some position in gaming retail. The RETAILERS purchase from Nintendo. Except for tge eshop, nintendo world and nintendo uk online store nintendo is a wholesaler. Places like gamestop, best buy and others determine tge amount of stock they want NOT what Nintendo throws at them. Here you have a game that did just ok, by a studio tgat most dont know on a system thats doing terrible... you really wonder why the retailers ordered short? I know my local Gamestop only ordered 4 copies because there was 4 pre-orders. I have mine and I'm playing through Bayo1 right now. I'll have it done next week and then onto Bayo 2. I'm good on games right now, don't need anything else. Got the double pack (was a nightmare to find) and I'm loving the first game to bits, great to see the game selling well. As for Just Dance, I can see the series going the way of guitar hero by next year, shame as there isn't many music games on the market. @Peach64 Really? Well like Japan that's down compared to the original by not by much. Not as bad as I expected, unfortunately still pretty terrible considering it's the last big WiiU exclusive not made by Nintendo left for a good while. I wonder if there is a meaningful number of people, who are going to pick up a WiiU for SSB, if so I would hope, that quite a few of those might be picking up Bayonetta 2 further down the line. It gotta be a similar target audience, or not? At least its in the top 10! That's quite something. I beat it today. Need more. 3 please. @AJWolfTill Yves Guillemot looks pretty silly right now, doesn't he? @Yurikun GS determines their purchase orders based off of preorders. So if you want your local GS to stock a game, pre-order it. @JacketsNest101 I did pre-order and I have my copy, thank you! I don't see what all the fuss is about, personally. I played through the first few chapters and I'm bored. Looks really nice and pretty, but Platinum can do better IMO. Much preferred Revengence and Vanquish. @AgitAngst Well said buddy. Well said. I still remember the horror of Dante (DMC5) looking like the emo vampire i see in movies. So go Bayonetta!